According to Value Penguin, the average American family spends more than $200/month on entertainment. Of course, that's based on an average income of $63,784. If you've got an extra large family or make less than the average household, you might really feel the pinch when it comes to taking your family to say, a carnival. Instead of focusing on what we can't afford, let's focus on all the things we can do for next to nothing. We're talking $20 or less for my family of four, although many of these activities are free, thanks to things you have around the house. Plenty of them even work on rainy days when you don't feel like splashing in puddles. Simple go to www.Geocaching.com and create a free account. Type in your address and you'll see all the nearby geocaches. (There are 2 million geocaches in the world and the U.S. has nearly half.) Just choose the one you want and enter the coordinates into your GPS or smartphone. Once you find the geocache, sign the log book, return the geocache to its original location and share your stories and photos online. There are lots of different kinds of geocaches, from traditional to mystery caches (e.g., that make you solve puzzles) to multi-caches that provide a chain of clues to your next stop. Some geocaches encourage you to exchange toys or trinkets, so feel free to bring fun stuff to swap. You may even decide to create your own geocache! Have a Box Bonanza. My son is 8 and obsessed with building things: Legos, pseudo go-carts on his skateboard, survival huts out of sticks, you name it! When I see rain in the forecast, I simply head to our nearby Lowe's and buy a bunch of extra-large moving boxes. At only $2.27 each, I can get more than enough for him and his sister to spend a couple hours building cars, pretend kitchens, rocket ships, and boats. Plus, it's the perfect time for me to mop because they're stuck in their boxes thanks to the floors being hot lava and all. Mark your calendar with all the Deal Days. If you're a committed penny pincher, you may already know a lot of these in your area. But for those who don't know, many zoos host several free days each year. Likewise, many movie theaters offer a discounted ticket price on one day (often Tuesday) of the week. Regal Cinemas offers the Summer Movie Express, which offers tickets to certain children's movies on Tuesdays and Wednesdays for just $1. Many museums and aquariums offer free family nights or days that kids can get in at no charge with an adult. Programs like Kids Bowl Free let you sign your child up for two free games of bowling every day all summer long. Certain holidays and recognition days tie in freebies for kids. One example is National Fishing and Boating Week, when most states offer free fishing days for kids (meaning no license is required). If you're lucky enough to live near a national park, activity duty military and their dependents, as well fourth-graders can get in free all year thanks to a program giving them free annual passes. Make a time capsule. Just imagine a family 200 years from now unearthing your family's time capsule! You can include photos, a newspaper or magazine, a handwritten letter talking about what life is like today, a movie ticket stub, a few inexpensive toys or pieces of memorabilia, and some coins or a dollar bill. Maybe it's not 200 years before it's opened. Perhaps your family will open it together 50 years from now! 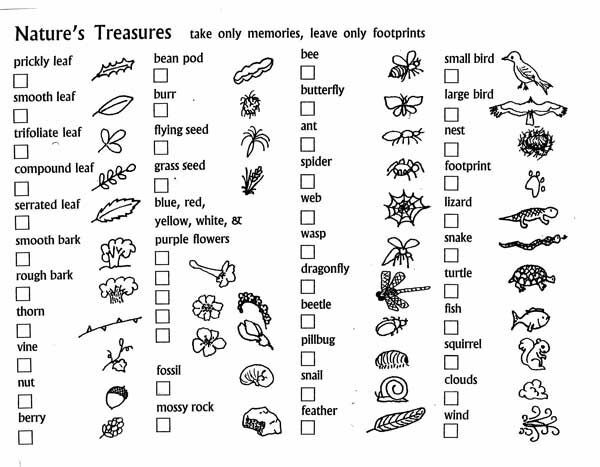 Go on a nature scavenger hunt. I created one of these for all the neighborhood kids and they had a blast! Basically, it's just a list of items they might find in your yard: a red leaf, a dandelion, a stick shaped like the letter Y, a pink rock, a four-leaf clover, etc. You can set a time limit (since not everyone will find a four-leaf clover!) and give everyone a small paper bag to carry their list and hold everything they find. You can also use a checklist of things to look for, but not touch. This is good for parks or nature hikes where you don't want nature disturbed. Host your own carnival. Designing the games is half the fun! Stack tin cans in a pyramid and let everyone try to knock them down with a rice-filled sock. Try to get a Frisbee in a hamper or hit ping pong balls off the tops of bottles with a Nerf gun. Be creative! There are countless ideas that you can create with things you already have around your home. Tour a fire station. Many fire stations hold open houses for the community, but some also let you schedule private tours! Kids usually get to touch the equipment, see where the fireman eat and sleep, climb on the fire trucks and maybe even slide down the pole! Play an active game to keep everyone moving. 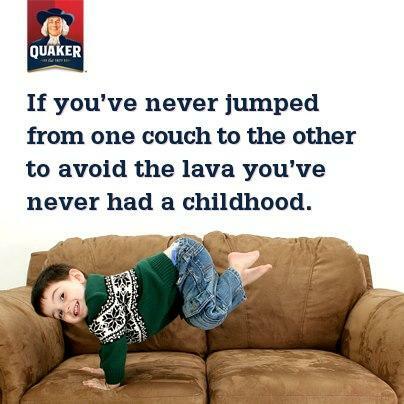 Hide and Seek, Kick the Can, Freeze Tag or even Charades on a rainy day will keep everyone off the couch. Some websites offer printable cards or random idea generators for Charades phrases. Set up a backyard campsite. A tent, s'mores and a (code compliant) campfire-it's just like the real thing with the convenience of indoor plumbing! A bright yellow book holds Clue number 2!" Depending on your kids' ages, you can keep it short and simple or make it much harder with more clues. The last clue should help them find a fun treat or prize. Host the Silly Olympics. Here's another fun way to get your family outside on a beautiful day. Create an obstacle course or individual events (like the backwards crab crawl or carrying an egg on a spoon). Unless your kids are about the same age, games of speed don't often feel as fair as games of balance or accuracy. Feel free to choose events that you know the younger children could win-such as somersaults or making farm animal noises while jumping on the trampoline. Build a massive fort. Buy a couple bags of clothespins the next time you're at the store. (They've got a million uses so you won't be wasting your $3.80 for 100.) Give everyone five minutes to gather every blanket, sheet and tablecloth in the house while you rearrange chairs for maximum awesomeness! Break out the indoor games. From board games and puzzles to card houses and paper airplane competitions, you can create a lasting memory without opening your wallet! Plant a garden. Everyone feels good when they touch soil and even if you live in a tiny apartment you can grow something! Try growing basil, mint or cilantro to use in your cooking, grow a lemon tree or plant your avocado pit and watch it grow into some pre-guacamole yumminess! Volunteer at an animal shelter. With the exception of a good dander allergy, there's no reason not to spend the day living out your childhood dream! Yes, shelters and rescues need people to pet the puppies, cuddle the kittens and maybe even rub a rabbit or two! Many shelters post their volunteer opportunities on their websites, but you can always call to find out when to bring your brood. Create a family video for a faraway loved one. If Grandma is homebound recovering from a fall or cousin Cathy is living abroad, why not make a funny family video to share a slice of life? Take them on a tour of your town or let your kids pretend to be news reporters. Sign up for a free (or very cheap!) class. Home Depot always has free classes. Granted, some are about installing a toilet, but there are also ones on landscaping, kids' projects, and even how to build a football toss game! Sometimes you'll find free CPR classes (usually for ages 9 and up), self-defense courses, art or dance classes, and even cooking classes. Just do a Google search for "free classes" followed by the name of your city. Many places will offer a sliding scale or waive the fee for military families. It can't hurt to ask! Don't cave in to the pressure of spending a lot of money when your kids complain that they're bored. There's plenty of fun to be had without feeling guilty about being over-budget. Your word for the year is "CREATIVE!" Do you have a favorite free or low-cost activity your family enjoys? Please share it in the comments for others to try!